Credit ratings agencies’ frequent warnings regarding bail-ins in recent months have largely been ignored. “Europe’s banks are vulnerable in 2015 due to weak macroeconomic conditions, unfinished regulatory hurdles and the risk of bail-ins” according to credit rating agencies. In March of this year, credit rating agency Standard and Poor’s (S&P) warned that the move towards “bail-ins” and away from “bailouts” continues to evolve and pose risks to European banks and their credit ratings. Bank of England plans to make bondholders and depositors bear the cost of bailing out failing banks, led Moody’s to downgrade its outlook on the UK banking sector this August. The rating agency said that it had changed its outlook for the UK financial system from “stable” to “negative”, citing the developing global “bail in regime” of creditor and depositor bail-in. 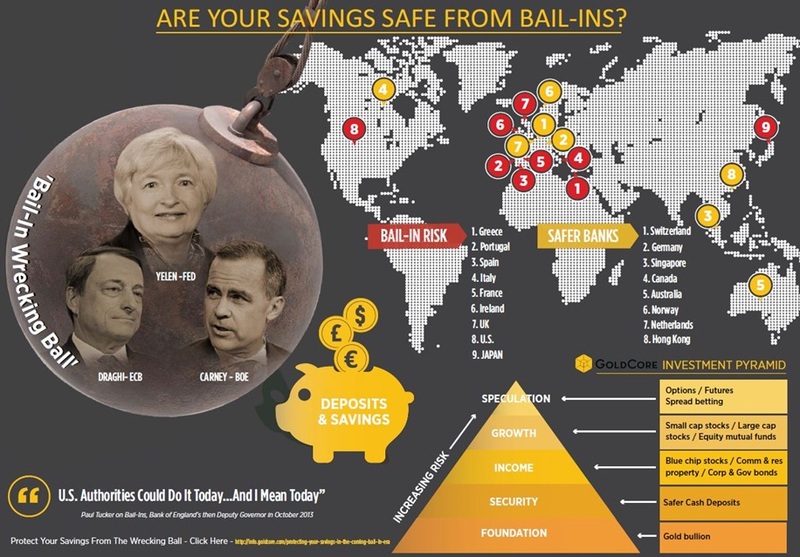 Moody’s have warned of bail-ins numerous times in recent months. In June of this year, Moody’s cut the outlook for Canadian bank debt to negative over the new ‘bail-in’ regime. 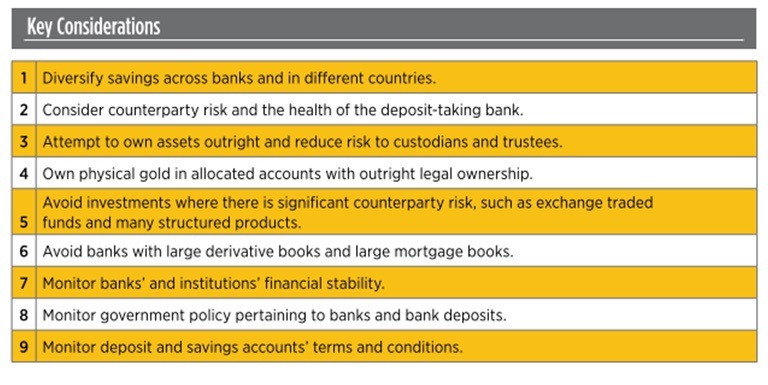 Continue reading here: European Banks At Risk Of Bail-Ins In 2015 – Moody’s and S&P Warn. This entry was posted in Bail In, Banks, Business Owners, Cryptocurrency, Debt, Deceptions, ECB, Financial Repression, IMF, It's Only Paper, Tax, Uncategorized by Adrian Rowles. Bookmark the permalink.